Samford University will host its annual Woodrow Wilson Visiting Fellow March 23-26. 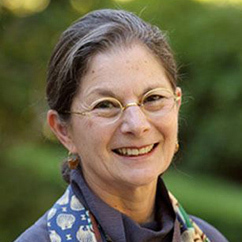 The Visiting Fellow this year is Barbara Gottschalk, co-founder of Seeds of Peace. Gottschalk’s keynoted lecture, “Beyond Ideas of Wrong-Doing and Right-Doing,” will be March 25, in the Howard Room of the Ralph W. Beeson University Center beginning at 6 p.m. In addition to the lecture, Gottschalk will speak in classes and meet with campus leadership groups. “The Woodrow Wilson Visiting Fellows Program is quickly becoming one of our most successful initiatives, and I am looking forward to working with faculty to expand the program’s reach and impact,” according to Chris Metress, associate provost for academics. According to Metress and the Seeds of Peace website, the international, organization is devoted to building relationships among young people in troubled areas of the globe, particularly in the Middle East, where Seeds of Peace runs a Center for Coexistence in Jerusalem. Created in 1993 to bring together 46 Israeli, Egyptian and Palestinian teens to attend an Arab-Israeli conflict-resolution camp in Maine, Seeds of Peace has since provided opportunities for more than 4,600 young people from 26 countries to learn conflict-resolution tools and ideals. Selected by their governments to attend the 22-day camp in Maine, these teenagers, already predisposed to peace, strengthen their faith in one another by participating in role-playing activities and trust-building exercises. In addition to co-founding Seeds of Peace, Gottschalk has directed social service agencies responsible for the treatment of people with mental and physical disabilities, and her expertise includes a variety of other areas, including community-building on a worldwide scale, media literacy, and the power and impact of social work. As a program of the Council of Independent Colleges, the Woodrow Wilson Visiting Fellows program has brought prominent artists, diplomats, journalists, business leaders, and other nonacademic professionals to campuses across the United States for substantive dialogue with students and faculty members. Through a week-long residential program of classes, seminars, workshops, lectures, and informal discussions, the Fellows create better understanding and new connections between the academic and nonacademic worlds. Previous Woodrow Wilson Fellows at Samford include Thomas Boyatt, former Ambassador to Columbia; journalist Eleanor Clift; career diplomat and Middle East expert David Dunford; and former New Jersey Gov. Christine Todd Whitman and her husband, John, an international businessman and consultant.